I was blessed twice within nine minutes! 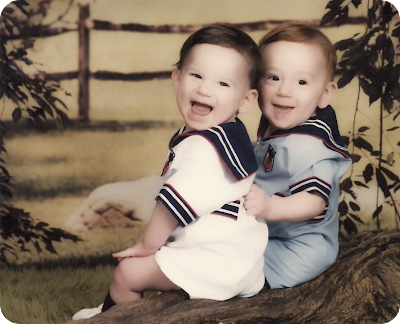 Today, I am recovering from an amazing weekend with family and sitting here with y'all reminiscing the birth of the youngest of my six children, twins Luke and John. They are 23 years young as of 4:54 (Luke) and 5:03 (John) am this morning! Carried full-term and weighing in at six pounds, 14 ounces and six pounds, two ounces respectively, my baby boys were two precious little bundles of baby boy joy who have both become amazing young men and wonderful human beings. For that, I am forever thankful and I love them beyond measure! Those of you who have read my posts over the past three to four years might remember when I posted a music widget with a playlist filled with Chicago songs along with my free Saturday in the Park scrapkit and extras. I was amazed to find how many of you would listen throughout the day as you did your housework or while scrapping on the computer. They truly have appealed to many generations, haven't they? 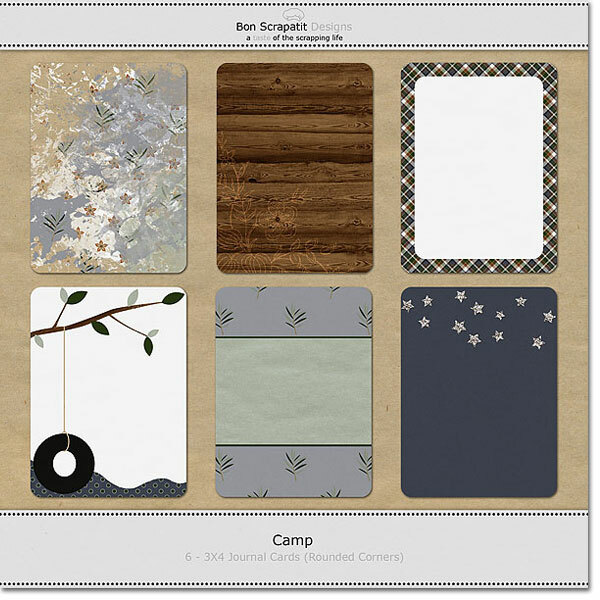 free coordinating "camp" 3X4 journal cards have arrived! Hmm. Somehow, Friday has rolled right on into Saturday, but I've made it in to post the free coordinating *Camp* journal cards for y'all! Woot, woot ... yeah! I was not satisfied with all six of the cards, so I redid a few and tweaked some of the others. I, typically, would add some word art, however, there are so many wonderful word snippets and such from the July Blog Train that I decided against doing so this time! I did, however, add an additional set of journal cards with rounded corners! Do y'all like using the journals? Anyone participating in Project Life? Do you prefer your cards squared off or with rounded corners? Or, do you like having the option of both? I hope you find these journal cards useful in your summer scrapping - Enjoy! Sorry, link has expired. Look for these journals in my shop soon and thank you for stopping in! Wishing you all a lovely weekend and I shall see you soon! To go shopping in Sonora from where we live in Copperopolis, we must cross the bridge you see in the photo above. Even though we have to travel a minimum of 20-30 minutes to shop retail stores(we do have a lovely full-service market in town) such as Walmart, Lowe's, Kohl's and a few others, we enjoy our drives immensely! What is not to love about driving in less than minimal traffic and ogling a breathtaking view along the way? Not a thing! When I was growing up, I loved inner tubes both in the water and hanging from a tree! Those were some fun times for sure and it is pretty common place to find tire swings in more rural areas aka country, such as where we live or even back in the day when swing sets were not a modern convenience in every backyard. I guess that would be way back because my brother and I did have a swing set in our backyard and that was in the 50s! with an Android app from Google Play called BeFunky using the Vibrance effect. For those of you with grown children, what are some of the events that you might be thankful to have found out when they were older rather than at the actual time they occurred? Have you documented or scrapped those events? To those who have yet to have a family or whose family is still growing and/or young, what might you wish never to know, if anything at all? Today, I leave you with a sweet (or should that be, swinging!) little cluster featuring my favorite piece in my contribution to the July Blog Train - the tire swing! I hope that you are enjoying your trip down the July Blog Train track through Scrapland thus far and are finding lots of treasures to help you preserve your summer memories! Have an amazing rest of the week everyone and to all of you here in the USA, may you have a fun, safe and celebratory Fourth of July! If you happen to be out-and-about in Scrapland, come on back to visit me this Friday, July 6th, for a set of 3X4 coordinating journaling cards for your downloading pleasure! Remember: It is scrap-happy hour 24/7 here in Scrapland! 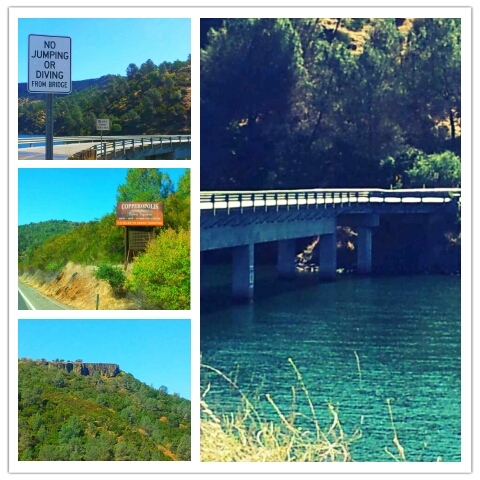 july 2012 blog train ... summer, july and camp are here!!! 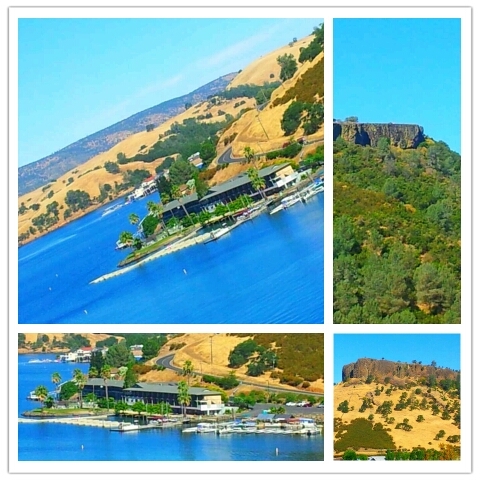 Summer is in full swing here in Copperopolis, California, home to the beautiful Lake Tulloch! My thoughts and prayers to all those affected by the horrific fires in Colorado. What devastation. I can only hope that the brave and amazing teams of firefighters will get everything under control as fast as is humanly possible. Sorry, these links have expired. Look for kit in my shop soon! 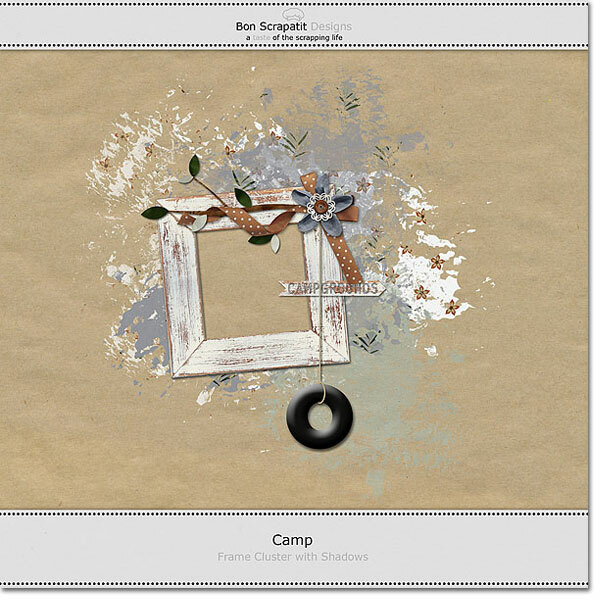 Come back to visit Bon Scrapatit Designs on Tuesday, July 3rd for a sweet little coordinating cluster that will also show you the inspiration behind the tire swing, or as we called them back in the day, inner tubes! Have an amazing week y'all and Bon Scrapatit!